First time buyers in the capital spend two thirds of the average pay on mortgage payments and critics suggest that the rising ratio is a sign of a property bubble. The latest figures from building society Nationwide show that homes being bought by first-time buyers in the capital are priced at 9.4 times the average London wage, which is an all-time high. Separate statistics from Nationwide propose that low interest rates mean the proportion of first-time buyers’ income going on mortgage payments is below previous peaks. The Bank of England’s Monetary Policy Committee meets to decide the base rate this week and is all but certain to leave it unchanged at 0.5%. A rate rise is not expected until 2016, but economists say recent improvements in average earnings and economic growth suggest an earlier rise is possible. The extraordinary figures come as property developer Canary Wharf prepares to sell its first residential properties on the Docklands site. Canary Wharf is planning to build as many as 3,200 properties at 10 Park Drive. The first of the new buildings goes on the market on Thursday. Studio flats start at £395,000 while three-bedroom properties will cost around £1.3million. Canary Wharf hosts 100,000 workers every day but the property developer is hoping to make the area a residential base for people to live as well. 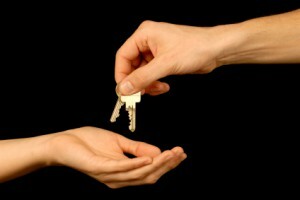 Would you be interested in paying 9 times the average salary to buy your first abode?